Happy Nordstrom Anniversary Pre-Sale kick off week!!! Ok, so it doesn't start until Thursday but I've been counting down since the last sale ended!! I'll be shopping the sale on Thursday, and I'm sure if you follow me on Snapchat (carylee07), you will be the first to see what I've bought! I will be sharing on the blog, too, obviously, but just a heads up in case you're impatient like me! But onto today's post! Let's give you an abbreviated family tree, shall we? I have an older sister and younger brother. My sister has the only grandchild in the family so far and he turned 1 last September. The husband is the oldest of 4. He has two sisters and one brother. The older of the two sisters is married with two little boys. The younger of these two boys celebrated his 1-year birthday this weekend! Did you follow all that?! His actual birthday is in June, but you know how crazy summers are that sometimes things just happen when everyone's schedules finally align! The sister in law asked if I would take photos, and of course the challenge was accepted. After all, I have the cutest subject ever to photograph! Since I had to take my camera, I certainly had to take my favorite camera bag. I wore wedges since I figured I'd be running around in the grass, and the weather was perfectly comfortable (read: not terribly humid) for a non-tank top. Shorts and a tee it is! I scored this LOFT tee during their 4th of July sale. 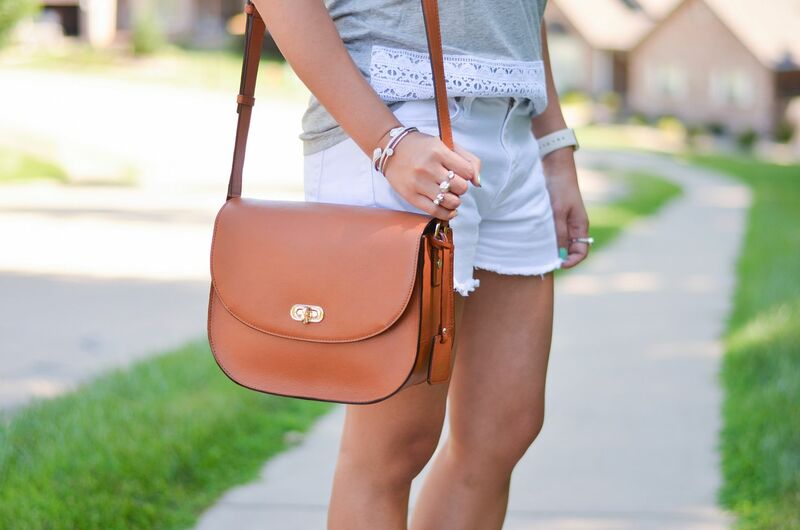 I love a good basic with pretty details like this! It's really lightweight, which makes it appropriate even in 90 degree temps! Contemplating other colors…. The party was in my mom and father in-law's backyard. They have such an amazing outdoor space with the trellis, counter space, and even a pizza oven! I'm so jealous of all of it! Better outdoor living space is one thing I wish that our house had! I LOL'd when I saw this photo. This pretty much sums up the sentiments of a 1-year old waiting for their smash cake, amIright? He was bouncing and whining and basically saying "GIMMEMYCAKEWOMAN!" He ended up mainly eating the "leaves" off the cake and didn't mess too much with the cake itself before he finally had a cake coma! Ha! Outside of that, the weekend was really productive. I have everything ready for my yoga and style workshop next weekend - it's been a lot of work and I'm both anxious and excited for it to be here already!! As always, thanks for letting me share! Have a great week!! I like your tee too, the lace details are really nice. This is the perfect Summer outfit, love this tee. Your pics came out wonderful. love your outfit! he is just so cute! Super cute look for a summer kid birthday party! I love the wedges with the tee and shorts outfit. They totally dress it up just enough. Your nephew is adorable and the photos are beautiful! 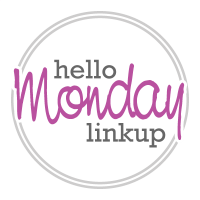 I would love for you to come join my link up On the Edge of the Week. Have a fabulous week! Oh my word, how cute is that last photo?! That's completely spot-on for a one-year-old kid! You looked adorable for the party. The bag is great! Love the wedges with your shorts - great look! Thank you for hosting. Loving this summer outfit on you! Those shorts are really flattering. Sounds and looks like a fun weekend! 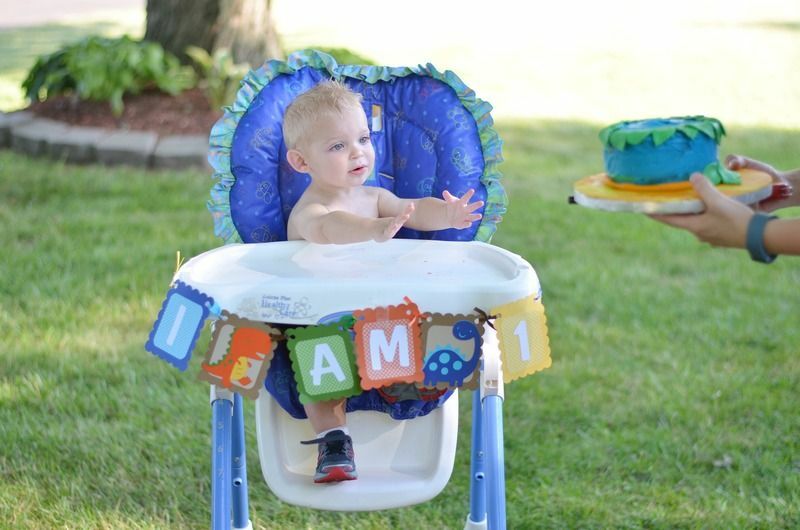 You're right---he is the cutest, and so is that cake!! 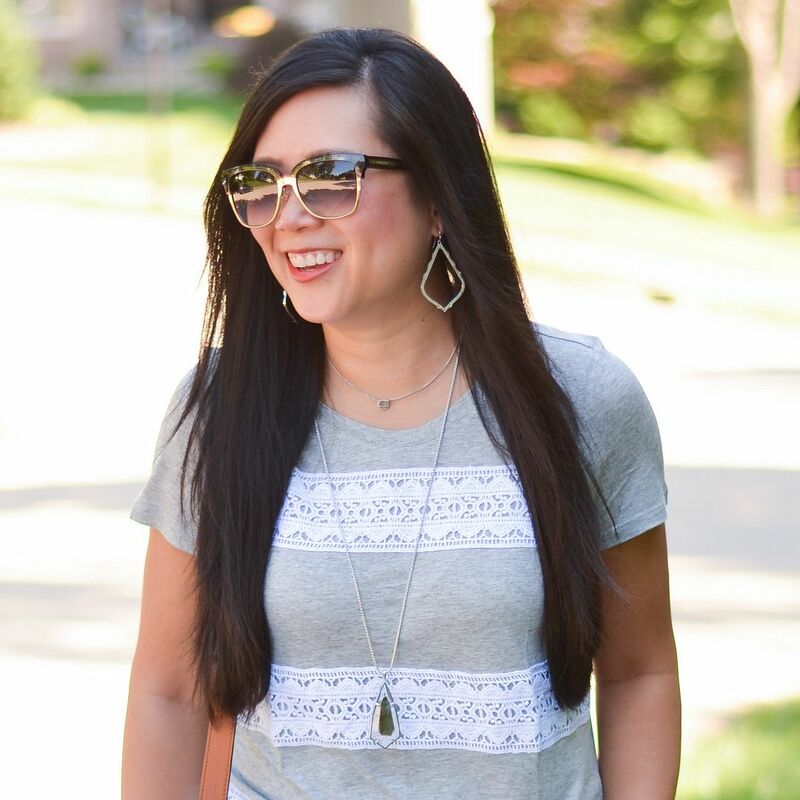 What a great tee---that's probably a great DIY project: a plain tshirt, lace and voila!! Im loving the simplicity of this outfit! And your nephew is adorable!!!!!!! Happy Birthday to your nephew. He is gorgeous. Love his blue eyes and his blonde hair. Such a pretty cake too. Your pictures turned out wonderful, what a little cutie too! I love your summer outfit too--that tee looks so comfy but the lace makes it special. Love this! Aww...Happy Birthday to your nephew! I love your outfit - especially that bag! I love your camera bag! Cute casual style for a wonderful party. The photo of your nephew is so adorable! Thanks for hosting the linkup per usual and have a great week. Looks like we're both rocking the distressed white shorts today..super cute and well put together as usual girlie! 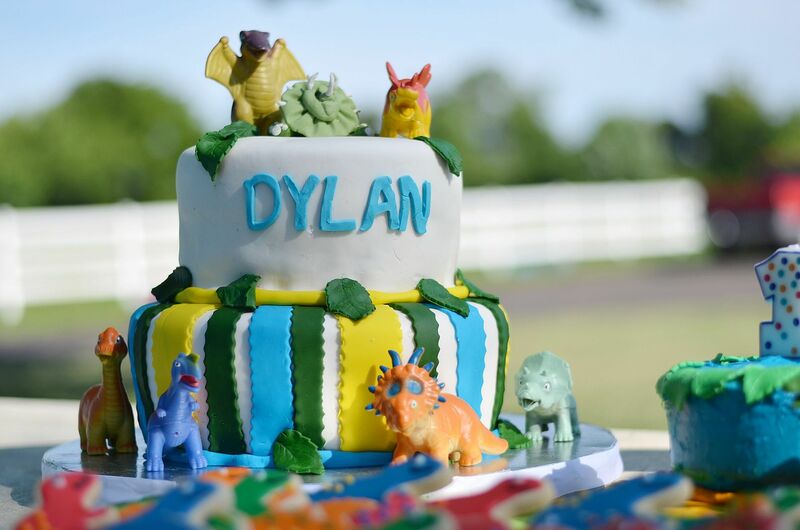 Dylan is the most adorable little boy, hope he had a blast on his special day! I love that pretty lace top!! And I cannot stress enough how much I love that tee! The whole outfit is right up my alley. 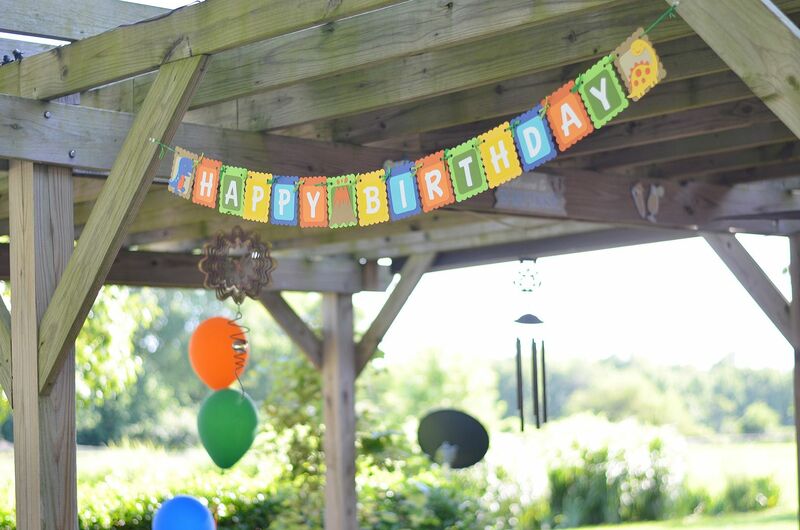 Perfect for a Summer birthday party. He's so cute! Happy birthday to him! I can't even handle how cute that cake is, and his eyes are so blue!! Love the dino theme and all the food to go with it. So clever!! Cute look and happy birthday to your nephew, he is so cute. That necklace is such a great staple! Aw.. He's adorable!! Love your simple cute look too!! What a CUTIE! I love his cake. I can't wait for the Nordstrom sale! I really need to narrow it down and figure out what I want! Love your bag! Your nephew is adorable! It looks like he had a fantastic birthday party! Your top look good with your shorts! I love the lace detailing on your top. 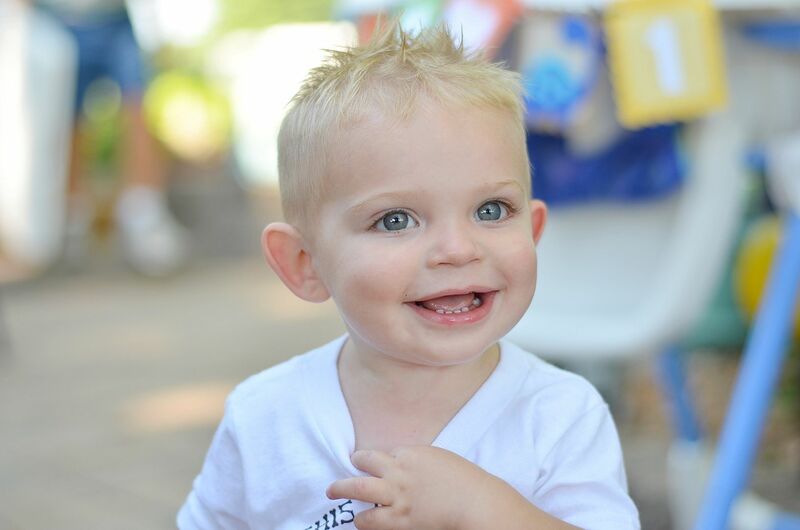 Your pictures of your nephew at his birthday party are so cute! This outfit is so cute on you, we love that top as well, it looks perfect for the summer time! Your nephew is so cute too! Great casual summer look! You styled these white shorts perfectly! And what a little cutie you have for a nephew!